“People are hungry for local food,” Emily Taaroa said on a bright Saturday morning as she walked between homemade chicken pens on 5.5 acres of Keaau land. 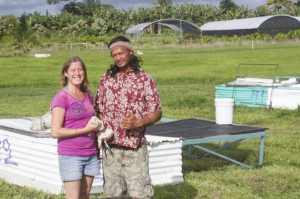 Punachicks in Keaau is becoming a local success in the chicken farm business. Emily and Yoric Taaroa are answering a growing need for local meat free of additives and growth boosters, and people are willing to pay for it. 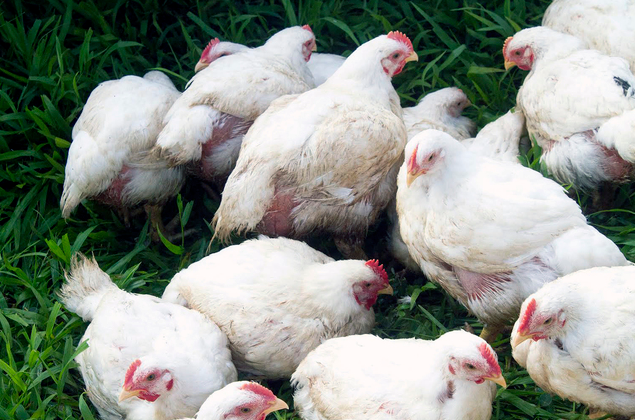 Locally-raised poultry is gaining in popularity, driven in part by the need for sustainability, food security, and human treatment of animals. According to reporter Ivy Ashe, the demand for chickens triples in 2 1/2 years, and Punachicks Farms is answering that demand. 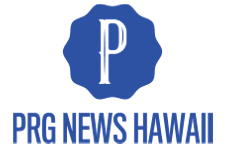 Punachicks Farms supply chickens to health food stores, hotels, and restaurants across Hawaii Island, and even ship chickens to Maui and Oahu. Yoric Taaroa says we see it as a service to the community. He adds that his operation is farmingyoure not going to get rich on it, but its worthwhile. Aloha, Russ.